Several landmark trials have informed our modern day practices including the first Patchell study, which demonstrated the importance of surgical resection in patients with single brain metastasis; the second Patchell study, which established the role for adjuvant WBRT after surgical resection in patients with a single brain metastasis; and the Aoyama study, which proved the feasibility of SRS alone.6-8 Through the years, SRS has continued to gain popularity as it offers a technique for radiation dose-intensification while minimizing dose to normal brain tissue through its use of high doses of radiation in 1-5 fractions delivered via a highly conformal technique. This review aims to discuss methods of optimizing the use of SRS in the treatment of brain metastasis with the goal of improving local control, decreasing toxicity, and ultimately improving survival. Topics include the use of targeted agents, treatment planning strategies, toxicity prognostication and reduction strategies; and prognostication and response assessment using imaging characteristics. SRS is now being studied alongside the development of targeted therapies.9 Traditionally, systemic therapies have had a limited role in treating BM due to their inability to penetrate the blood-brain barrier and the relative chemoresistance of tumor cells.2,10 Targeted agents differ from cytotoxic chemotherapy in that they act against specific aberrant cellular processes rather than halting uncontrolled cell proliferation. Johnson et al analyzed patients who received upfront SRS with or without targeted agents and found that the use of targeted agents improved 1-year outcomes including survival (65% vs. 30%, p < 0.0001), distant failure-free survival (32% vs. 18%, p = 0.0001) and freedom from WBRT (88% vs. 77%, p = 0.03) across all histologies.11 These results, along with several retrospective studies, highlight the increased therapeutic effect of targeted agents and SRS.10,12-14 The use of targeted agents has an increasing role in the management of BM from breast cancer, renal cell carcinoma and melanoma, among other malignancies. Breast cancers with human epidermal growth factor receptor 2 (HER2) mutation have been found to have an increased propensity for BM.2 Classic targeted therapies used in the definitive setting (eg, trastuzumab, a monoclonal antibody) have not been proven useful after the development of BM due to relatively large size (> 150 kDa). A newer targeted agent, lapatinib, which is a small-molecule inhibitor (< 800 Da) against HER2, has been shown to be tumoricidal with an ability to penetrate the blood-brain barrier. Its utility for BM without combined SRS has been confirmed by multiple studies including the LANDSCAPE trial15,16 as well as a study led by Yomo et al. In the latter study, the administration of lapatinib with SRS increased 1-year local control rates (86% vs. 69%, p < 0.001).17 Similarly, data from the Cleveland Clinic has demonstrated that the use of concurrent lapatinib with SRS reduced the risk for local failure in HER2-amplified patients from 15.1% to 5.7% (p <0.001).18 As this remains an ongoing area of investigation, an ongoing phase II trial is examining WBRT or SRS in the setting of lapatinib (NCT01622868). Renal cell carcinoma (RCC) is another commonly studied malignancy with the potential to improve response to radiation therapy with the use of targeted therapies. Established targeted therapies in this patient population include multiple tyrosine-kinase inhibitors (eg, sunitinib, sorafenib), mTOR inhibitors (eg, temsirolimus), and anti-VEGF agents (bevacizumab).12 While sunitinib has demonstrated intracranial tumoricidal activity, studies investigating sorafenib, temsirolimus and bevacizumab have only shown safety and lack of neurologic adverse events.9 Cochran et al analyzed 61 patients who received SRS with or without sunitinib, sorafenib, or temsirolimus. Patients receiving targeted agents demonstrated improved survival from 7.2 to 16.6 months (p = 0.04) and increased local control from 60% to 93% (p = 0.01).12 Targeted agents for RCC have modest intracranial tumoricidal activity and are generally combined with other agents for extracranial metastatic disease. The evidence of synergistic activity when combined with SRS suggests these agents act as radiosensitizers for BM. Malignant melanoma has the highest propensity to metastasize to the brain. In addition, because of its conceived radioresistance, it is an area requiring further research. A significant proportion of melanomas are associated with a BRAF mutation, for which the targeted agents dabrafenib, vemurafenib and trametinib have been shown to be efficacious.19 Long et al conducted a multicenter phase II trial studying dabrafenib in patients with BRAF-mutant melanoma BM and significant intracranial activity.20 However, safety of this agent remains a concern given the associated risks of intratumoral hemorrhage and increased risk of radiation necrosis (RN) when combined with SRS, as reported by Ly et al.21,22 Others have also demonstrated that the timing of the BRAF-directed therapy when given with SRS is important to reducing the risk of local failure.23 A current prospective phase II trial aims to determine the effect of dabrafenib combined with SRS on distant and local control and toxicity (NCT01721603). 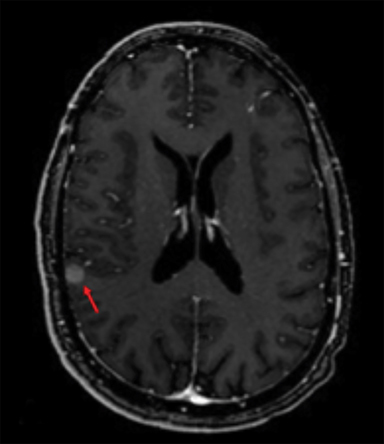 For patients with BM from BRAF-wild type melanoma, immunotherapy (eg, ipilimumab) has demonstrated central nervous system (CNS) penetration and potential benefit.2 In a study by Kiess et al involving 46 patients with 113 total BM lesions, ipilimumab administered prior to or concurrently with SRS was associated with an improved 1-year distant intracranial local control when compared to the patient cohort receiving ipilimumab after SRS (69% vs. 64% vs. 92%, p = 0.003).14 Further investigation is warranted to establish optimal therapy sequencing in the appropriate patient population. Strategies in radiation therapy planning to optimize SRS delivery include modifying the radiation dose, prescribing to different isodose lines, and changing tumor volume expansions. Dosing schemes for treating BM with SRS were established by the Radiation Therapy Oncology Group (RTOG) 90-05 clinical trial. Based on maximum tumor diameter, tumors < 2 cm, 2.1 to 3 cm, and 3.1 to 4 cm were recommended to receive 24 Gy, 18 Gy, and 15 Gy, respectively.24 However, these dosing regimens are not strictly followed, and many studies evaluating SRS outcomes have median doses less than RTOG 90-05 protocol.25 There is evidence correlating radiation dose and different local control rates of BM despite the use of RTOG 90-05 dosing schemes. In an analysis of 375 BM undergoing SRS, Vogelbaum et al demonstrated BM < 2 cm prescribed to 24 Gy to the tumor margin had better local control than larger BM receiving 15 Gy or 18 Gy (85% vs. 49% vs. 45%; p = 0.0005).25 Mohammadi et al reported results of an updated study including 3,034 BM ≤ 2 cm. They demonstrated BM < 1 cm were associated with a lower risk of local progression (HR 2.32; p < 0.001) and RN (HR 2.13; p < 0.001) as compared to larger lesions.26 Collectively, these results provide evidence that treating BM ≤ 2 cm with 24 Gy maximizes local control with no increased risk of radiation-induced toxicities. Compared to the evidence that exists for the detection and management of RN, data on therapeutic interventions to prevent and reduce the risk of RN is limited.35 Aside from optimizing SRS planning, there is preliminary data on the use of hyperbaric oxygen and administration of pentoxifylline and vitamin E as prophylaxis for RN. Ohguri et al studied hyperbaric oxygen therapy one week after SRS in 32 patients as prophylaxis against RN demonstrating decreased incidence of RN in patients receiving prophylaxis from 20% to 11% (p = 0.05).38 The use of pentoxifylline and vitamin E has been established as a treatment for RN, and has been shown to reduce radiation-induced damage in extracranial disease sites.39,40 For its role in the brain, an ongoing phase II trial is evaluating the combination for prophylaxis of RN (NCT01508221). With the increased use of SRS for definitive treatment, future research for RN should include improved detection of RN, groups at risk for RN, and techniques to prevent RN in high-risk groups. To evaluate response to treatment, Response Evaluation Criteria in Solid Tumors (RECIST) has been commonly implemented. However, in the age of modern systemic therapies, the Response Assessment in Neuro-oncology - Brain Metastases (RANO-BM) response criteria (Table 2) offers a more objective and reproducible method of interpreting response to treatment. 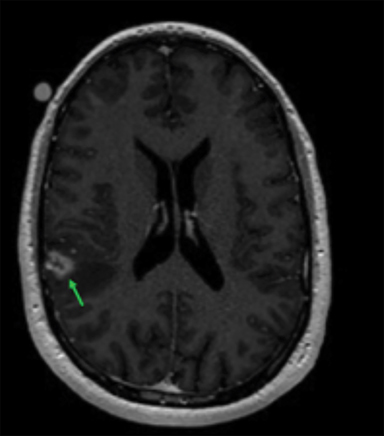 RANO-BM includes radiographic assessment of target (based on changes in linear dimensions) and nontarget lesions, as well as assessment of clinical status and corticosteroid use.45 For small-volume BM with complex geometries, these criteria may be unfit to accurately assess treatment response.46 Follwell et al analyzed 178 brain metastases treated with SRS with MRI segmentation software to derive a 3-dimensional volume-based response criteria that is approximately based on the RECIST criteria.46 Multivariate analysis identified BM with a baseline diameter > 3 cm or a 3-dimensional volume > 6 cm3 are at increased risk of local failure.46 The response assessment systems are summarized in Table 2. The use of SRS for the management of BM has evolved from a targeted-boost to the lesion to definitive upfront treatment. The advent of targeted therapies and immunotherapies has created a new tumor microenvironment within the brain and provides opportunities to investigate their combination with SRS. Several retrospective series have shown a synergistic effect in local control of SRS combined with lapatinib for HER2-positive BM, sunitinib, sorafenib and temsirolimus for RCC BM, and dabrafenib and ipilimumab for BRAF-mutated and wild-type melanoma BM. However, the retrospective nature of these analyses and subanalyses should only guide future prospective studies and no conclusive recommendations can be made without further hypothesis-driven evidence. As more patient groups are being defined that are best suited for SRS, there is an increased interest in optimizing treatment planning. Dose-escalation to 24 Gy for small (< 2 cm) lesions has shown to improve local control without increasing toxicity, and alterations in fractionation schemes may improve the therapeutic window for larger metastases. Advances in imaging have allowed for improved differentiation between tumor progression and radiation-induced toxicities, and are characterized as BM by radiographic differences (eg, non-necrotic vs. necrotic centers and homogenous vs. heterogeneous lesions). Future investigations should focus on taking advantage of imaging characteristics to improve the efficacy of SRS as well as discovering therapeutic options in preventing toxicities. The influx of retrospective data for SRS in recent years needs to be validated by randomized controlled trials. Although prospective analysis of BM has been a major challenge, contributions from the RANO group will help guide the creation of clinical trials that will offer more personalized treatments for patients with BM. Nayak L, Lee EQ, Wen PY. Epidemiology of brain metastases. Curr Oncol Rep. 2012;14:4854. Chamberlain MC, Baik CS, Gadi VK, et al. Systemic therapy of brain metastases: non-small cell lung cancer, breast cancer, and melanoma. Neuro Oncol. 2017;19:i1-i24. Kotecha R, Vogel S, Suh JH, et al. A cure is possible: a study of 10-year survivors of brain metastases. J Neurooncol. 2016;129:545-555. Hall WA, Djalilian HR, Nussbaum ES, et al. Long-term survival with metastatic cancer to the brain. Med Oncol. 2000;17:279-286. Suh JH. Stereotactic Radiosurgery for the management of brain metastases. N Engl J Med. 2010;362:1119-1127. Patchell RA, Tibbs PA, Regine WF, et al. Postoperative radiotherapy in the treatment of single metastases to the brain: a randomized trial. JAMA. 1998;280. Aoyama H, Shirato H, Tago M, et al. Stereotactic radiosurgery plus whole-brain radiation therapy vs stereotactic radiosurgery alone for treatment of brain metastases. JAMA. 2006;295:2483. Patchell RA, Tibbs PA, Walsh JW, et al. A randomized trial of surgery in the treatment of single metastases to the brain. N Engl J Med. 1990;322:494-500. Badiyan SN, Regine WF, Mehta M. Stereotactic radiosurgery for treatment of brain metastases. J Oncol Pract. 2016;12:703-712. Ahluwalia MS, Winkler F. Targeted and immunotherapeutic approaches in brain metastases. Am Soc Clin Oncol Educ Book. 2015;35:67-74. Johnson AG, Ruiz J, Hughes R, et al. Impact of systemic targeted agents on the clinical outcomes of patients with brain metastases. Oncotarget. 2015;6:18945-18955. Cochran DC, Chan MD, Aklilu M, et al. The effect of targeted agents on outcomes in patients with brain metastases from renal cell carcinoma treated with Gamma Knife surgery. J Neurosurg. 2012;116:978-983. Yomo S, Hayashi M, Nicholson C. A prospective pilot study of two-session Gamma Knife surgery for large metastatic brain tumors. J Neurooncol. 2012;109:159-165.
ment. Int J Radiat Oncol Biol Phys. 2015;92:368-375. Bachelot T, Romieu G, Campone M, et al. Lapatinib plus capecitabine in patients with previously untreated brain metastases from HER2-positive metastatic breast cancer (LANDSCAPE): a single-group phase 2 study. Lancet Oncol. 2013;14:64-71. Lin NU, Dieras V, Paul D, et al. Multicenter phase II study of lapatinib in patients with brain metastases from HER2-positive breast cancer. Clin Cancer Res. 2009;15:1452-1459. Yomo S, Hayashi M, Cho N. Impacts of HER2-overexpression and molecular targeting therapy on the efficacy of stereotactic radiosurgery for brain metastases from breast cancer. J Neurooncol. 2013;112:199-207. Miller JA, Kotecha R, Ahluwalia M, et al. Overall survival and the response to radiation therapy among molecular subtypes of breast cancer brain metastases treated with targeted therapies. Cancer. In press. Chowdhury IH, Ojerholm E, McMillan MT, et al. Novel risk scores for survival and intracranial failure in patients treated with radiosurgery alone to melanoma brain metastases. Radiat Oncol. 2015;10:248. Long G V, Trefzer U, Davies MA, et al. Dabrafenib in patients with Val600Glu or Val600Lys BRAF-mutant melanoma metastatic to the brain (BREAK-MB): a multicentre, open-label, phase 2 trial. Lancet Oncol. 2012;13:1087-1095. Ly D, Bagshaw HP, Anker CJ, et al. Local control after stereotactic radiosurgery for brain metastases in patients with melanoma with and without BRAF mutation and treatment. J Neurosurg. 2015;123:395-401. Patel KR, Chowdhary M, Switchenko JM, et al. BRAF inhibitor and stereotactic radiosurgery is associated with an increased risk of radiation necrosis. Melanoma Res. 2016;26:387-394. Kotecha R, Miller J, Venur VA, et al. Melanoma brain metastasis: the impact of stereotactic radiosurgery, molecular profile, and targeted/immune-based therapies on treatment outcome. J Neurosurg. 2017. In press. Shaw E, Scott C, Souhami L, et al. Single dose radiosurgical treatment of recurrent previously irradiated primary brain tumors and brain metastases: final report of RTOG protocol 90-05. Int J Radiat Oncol. 2000;47:291-298. Vogelbaum MA, Angelov L, Lee S-Y, et al. Local control of brain metastases by stereotactic radiosurgery in relation to dose to the tumor margin. J Neurosurg. 2006;104:907-912. Mohammadi AM, Schroeder JL, Angelov L, et al. Impact of the radiosurgery prescription dose on the local control of small (2 cm or smaller) brain metastases. J Neurosurg. 2016:1-9. Shiue K, Barnett GH, Suh JH, et al. Using higher isodose lines for Gamma Knife treatment of 1 to 3 brain metastases is safe and effective. Neurosurgery. 2014;74:360-366. Jani A, Rozenblat T, Yaeh AM, et al. The energy index does not affect local control of brain metastases treated by Gamma Knife stereotactic radiosurgery. Neurosurgery. 2015;77:119-125. Romano KD, Trifiletti DM, Garda A, et al. Choosing a prescription isodose in stereotactic radiosurgery for brain metastases: implications for local control. World Neurosurg. 2016. S1878-8750(16)31186-X. Noël G, Simon JM, Valery C-A, et al. Radiosurgery for brain metastasis: impact of CTV on local control. Radiother Oncol. 2003;68:15-21. Kirkpatrick JP, Wang Z, Sampson JH, et al. Defining the optimal planning target volume in image-guided stereotactic radiosurgery of brain metastases: Results of a randomized trial. Int J Radiat Oncol Biol Phys. 2015;91:100-108. Minniti G, Scaringi C, Paolini S, et al. Single-Fraction versus multifraction (3 × 9 gy) stereotactic radiosurgery for large (&gt;2 cm) brain metastases: a comparative analysis of local control and risk of radiation-induced brain necrosis. Int J Radiat Oncol. 2016;95:1142-1148. Rajakesari S, Arvold ND, Jimenez RB, et al. Local control after fractionated stereotactic radiation therapy for brain metastases. J Neurooncol. 2014;120:339-346. Yomo S, Hayashi M. A minimally invasive treatment option for large metastatic brain tumors: long-term results of two-session Gamma Knife stereotactic radiosurgery. Radiat Oncol. 2014; 9:132. Chao ST, Ahluwalia MS, Barnett GH, et al. 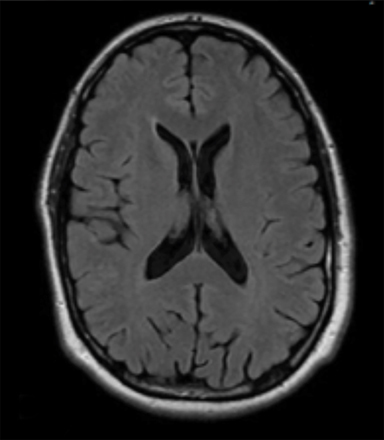 Challenges with the diagnosis and treatment of cerebral radiation necrosis. Int J Radiat Oncol. 2013;87:449-457. Blonigen BJ, Steinmetz RD, Levin L, et al. Irradiated volume as a predictor of brain radionecrosis after linear accelerator stereotactic radiosurgery. Int J Radiat Oncol. 2010;77:996-1001. Miller JA, Bennett EE, Xiao R, et al. Association between radiation necrosis and tumor biology following stereotactic radiosurgery for brain metastasis. Int J Radiat Oncol. 2016;96:1060-1069. Ohguri T, Imada H, Kohshi K, et al. Effect of prophylactic hyperbaric oxygen treatment for radiation-induced brain injury after stereotactic radiosurgery of brain metastases. Int J Radiat Oncol Biol Phys. 2007;67:248-255. Hepgül G, Tanrıkulu S, Ünalp HR, et al. Preventive effect of pentoxifylline on acute radiation damage via antioxidant and anti-inflammatory pathways. Dig Dis Sci. 2010;55:617-625. Williamson R, Kondziolka D, Kanaan H, et al. Adverse radiation effects after radiosurgery may benefit from oral vitamin E and pentoxifylline therapy: a pilot study. Stereotact Funct Neurosurg. 2008;86:359-366. Shiau C-Y, Sneed PK, Shu H-KG, et al. Radiosurgery for brain metastases: relationship of dose and pattern of enhancement to local control. Int. J. Radiat. Oncol. 1997;37:375-383. Goodman KA, Sneed PK, McDermott MW, et al. Relationship between pattern of enhancement and local control of brain metastases after radiosurgery. Int J Radiat Oncol Biol Phys. 2001;50: 139-146. Martens K, Meyners T, Rades D, et al. 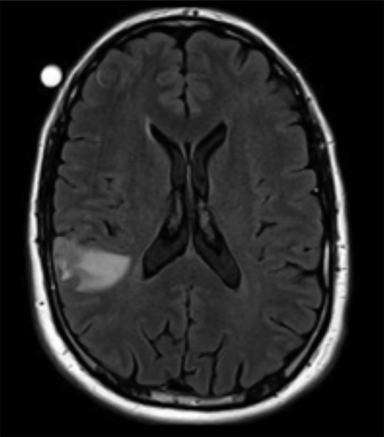 The prognostic value of tumor necrosis in patients undergoing stereotactic radiosurgery of brain metastases. Radiat Oncol. 2013;8:162. Xu Z, Marko NF, Angelov L, et al. Impact of preexisting tumor necrosis on the efficacy of stereotactic radiosurgery in the treatment of brain metastases in women with breast cancer. Cancer. 2011;118:1323-1333. Lin NU, Lee EQ, Aoyama H, et al. Response assessment criteria for brain metastases: proposal from the RANO group. Lancet Oncol. 2015;16:e270-e278. Follwell MJ, Khu KJ, Cheng L, et al. Volume specific response criteria for brain metastases following salvage stereotactic radiosurgery and associated predictors of response. Acta Oncol. 2012;51:629-635. Chowdhury IH, Parsai S , Gandhidasan S, Kotecha R, Suh JH. Optimization of stereotactic radiosurgery for the treatment of brain metastases. Appl Rad Oncol. 2017;6(1):11-16. Mr. Chowdhury is a medical student at Geisinger Commonwealth School of Medicine, Scranton, PA. Dr. Gandhidasan is a fellow at the Department of Radiation Oncology, Cleveland Clinic, Cleveland, OH, Dr. Parsai and Dr. Kotecha are resident physicians at the Department of Radiation Oncology, Cleveland Clinic, Cleveland, OH, and Dr. Suh is a professor and the chairman of the Department of Radiation Oncology, Cleveland Clinic, Cleveland, OH. Conflicts of interest: Dr. Suh: consultant and research support from Varian Medical Systems, Palo Alto, CA; honorarium from Philips Medical Systems, Amsterdam, The Netherlands.